Jose Francisco Garcia Torres is moving up in the world. From a temporary stand and tables beneath a sprawling blue tarp suspended from aluminum poles with ropes and, one suspects, bailing wire and duct tape El Huitussi – his type-location of a Baja-style, roadside Mariscos shop – has now moved several yards Eastward and upward (literally) to an unassuming shop from which the best ceviches in San Felipe emerge. 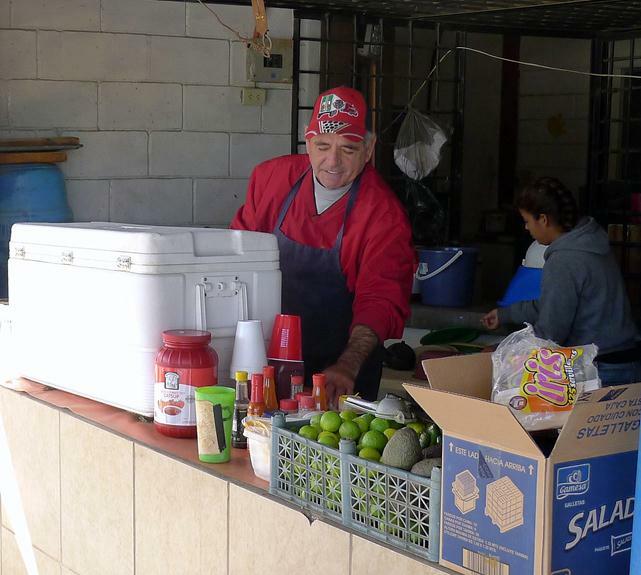 After having worked 15 years as a wholesale fish vendor in Mexico City, Garcia Castro moved to San Felipe and applied his knowledge, training and – perhaps most importantly, his instincts and intuition — to the range of seafoods available in the Northwestern Sea of Cortez’ most important fishing port. Shrimp, scallops (perhaps Callo de Hacha), clams, snails and octopus cohabit Garcia Castro’s molcajetes of campachana seafood cocktail, swimming in a heady sauce of tomato and lime. 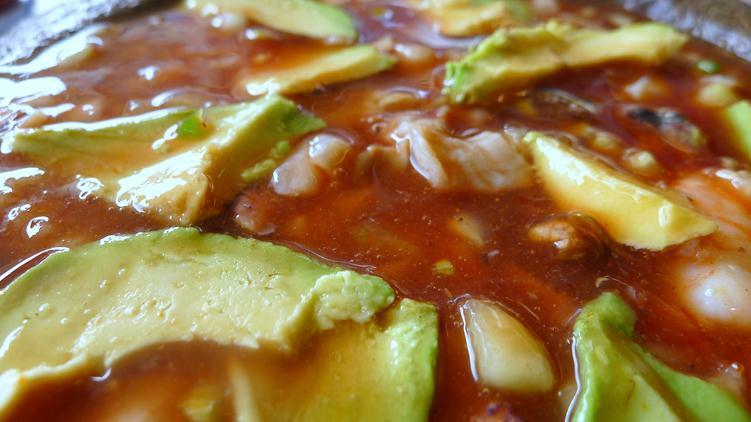 The sweet and tart flavors of the liquid matrix pair beautifully with the richness of the seafood and the perfectly ripe chunks of avocado. All that is desirable – necessary would be far too demanding a word – is a couple hits of hot sauce. 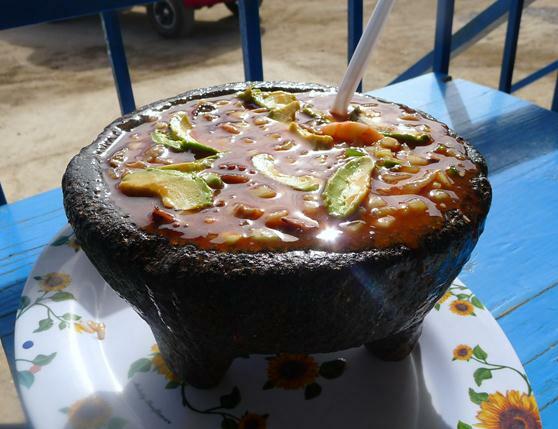 Garcia Castro’s campechanos are perfect embodiments of the Northern Baja California ceviche style. The man himself, like his ceviche, is without pretension. 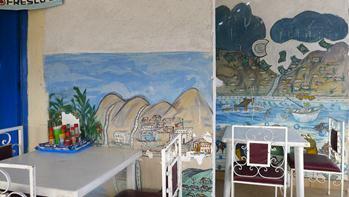 Pleasant, earnest and determined – a reflection, one supposes, of the Mexican mainland town in Sinaloa for which his shop is named (and a drawing of which adorns one of its walls) and from whence he comes. 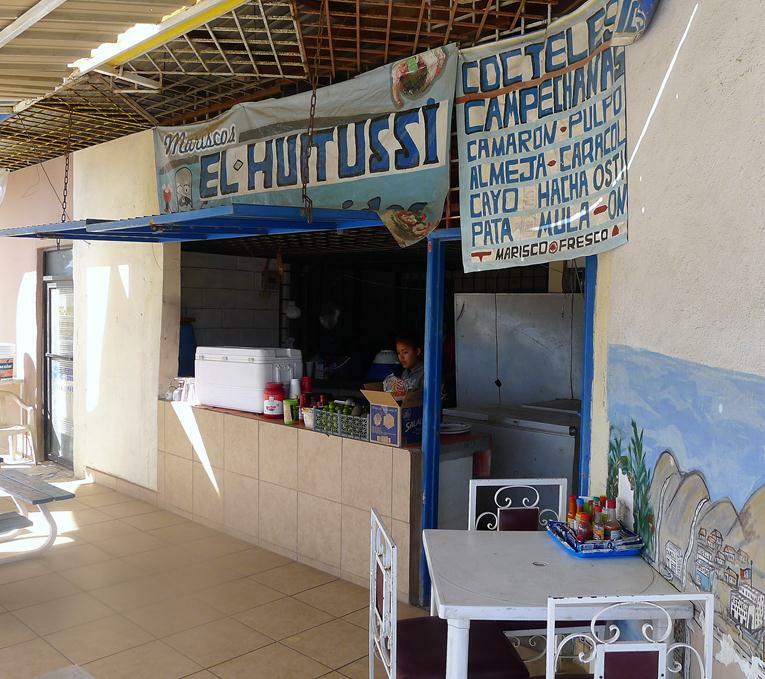 If the food is as good in Huitussi as at Mariscos El Huitussi perhaps that should be my next trip.